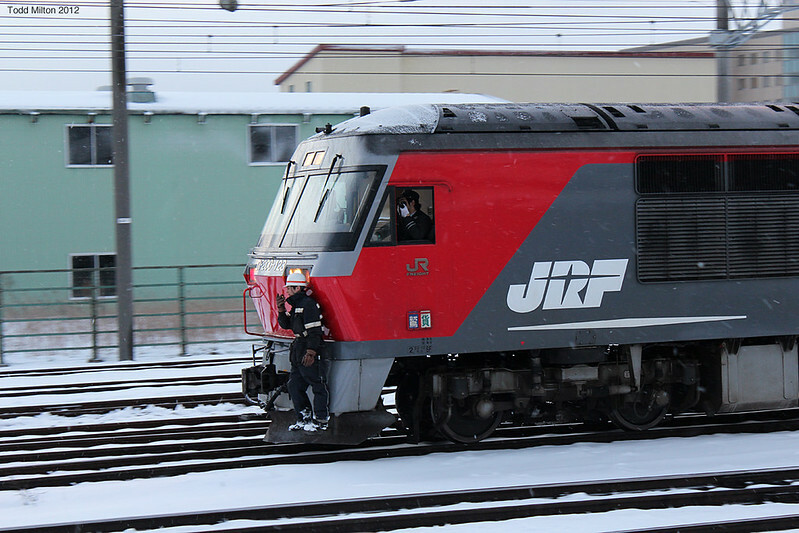 Various photos of JR Freight locomotives from my recent travels. I have not photographed JRF much, so it was good to be able to finally get some photos of their awesome locomotives! 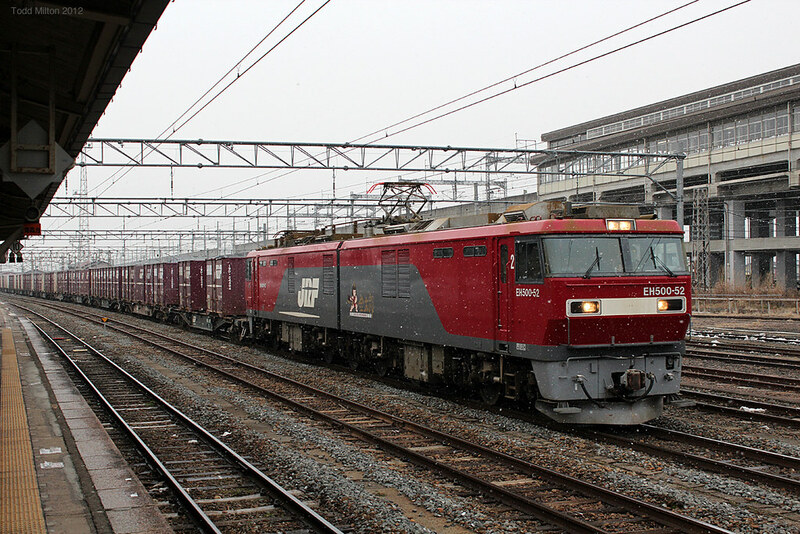 JR Freight DF-200 51 is seen at Goryokaku to transfer freight to electric traction. 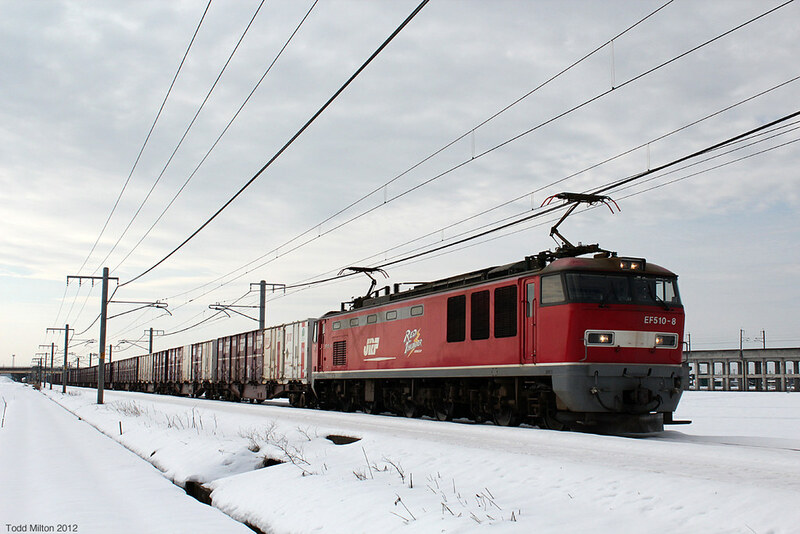 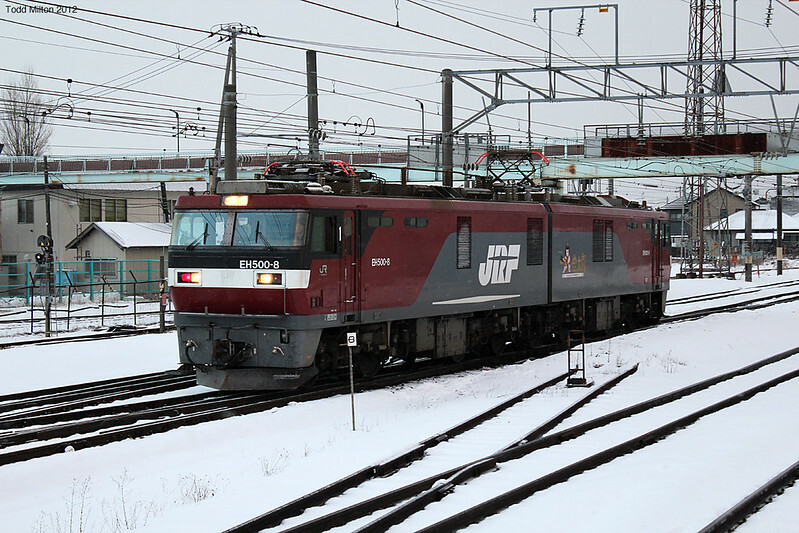 DF 200 series locomotives are named "Red Bear". 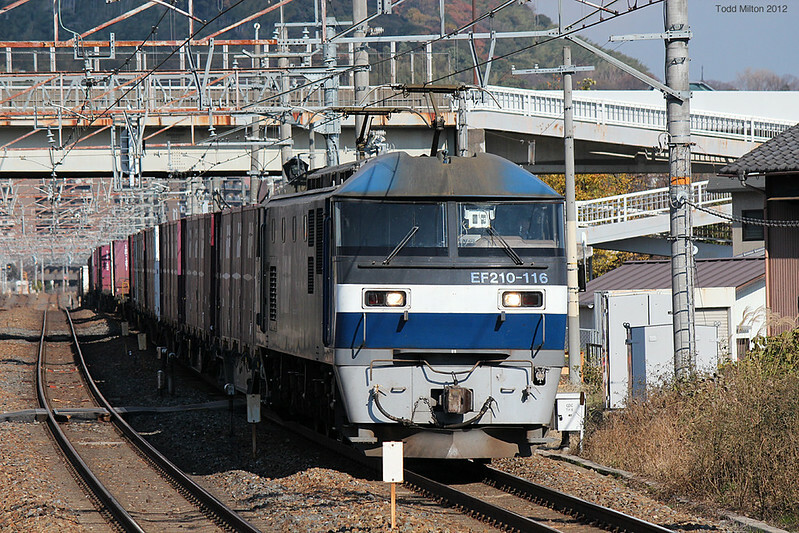 JR Freight EH-500 8 is seen ready to collect its train from the yard at Goryokaku to run through the Seikan Tunnel into Honshu. 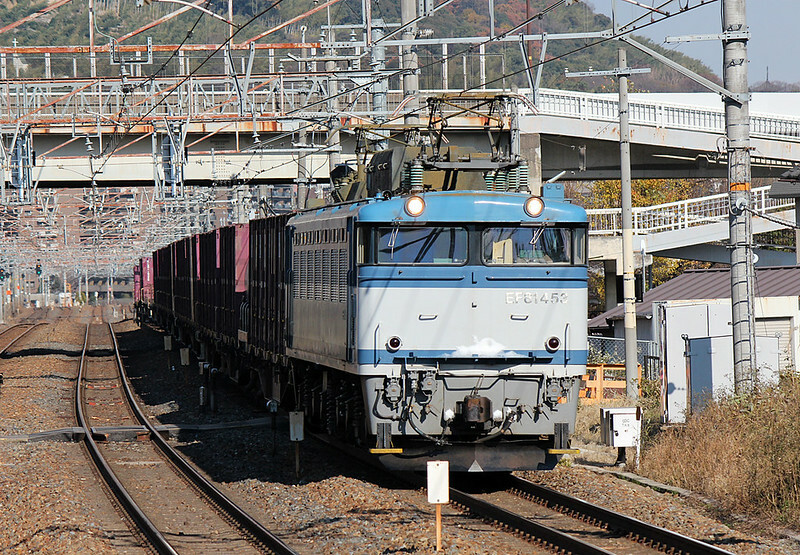 The logo on the side of the train is the logo for its class, this being Kintarō. Kintarō is from Japanese folklore, is said to be a child of superhuman strength raised by a mountain hag on Mount Ashigara and friendly with the animals there. 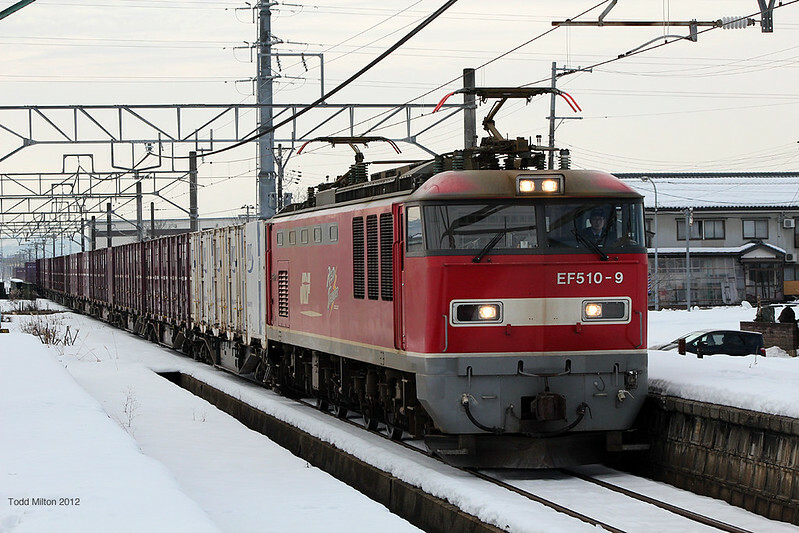 Love that the freight train drivers are wearing a tie! 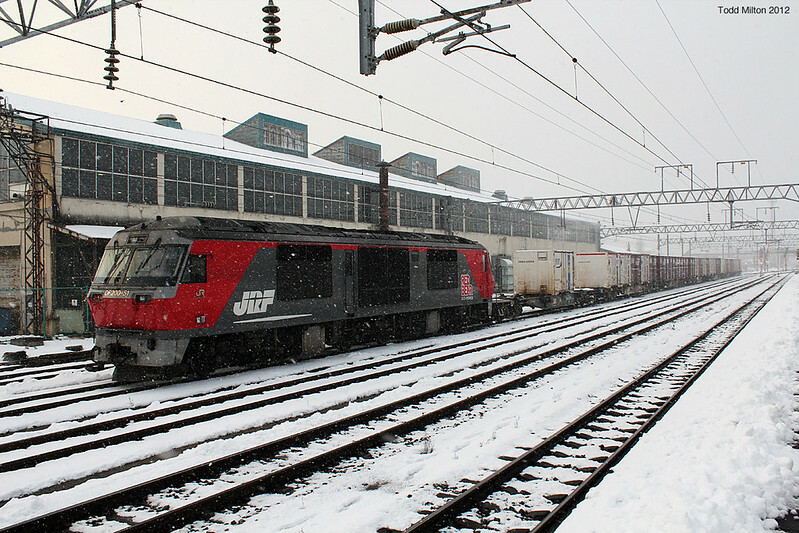 Thank you for the nice photos as i model these loco, wish one day to visit there.